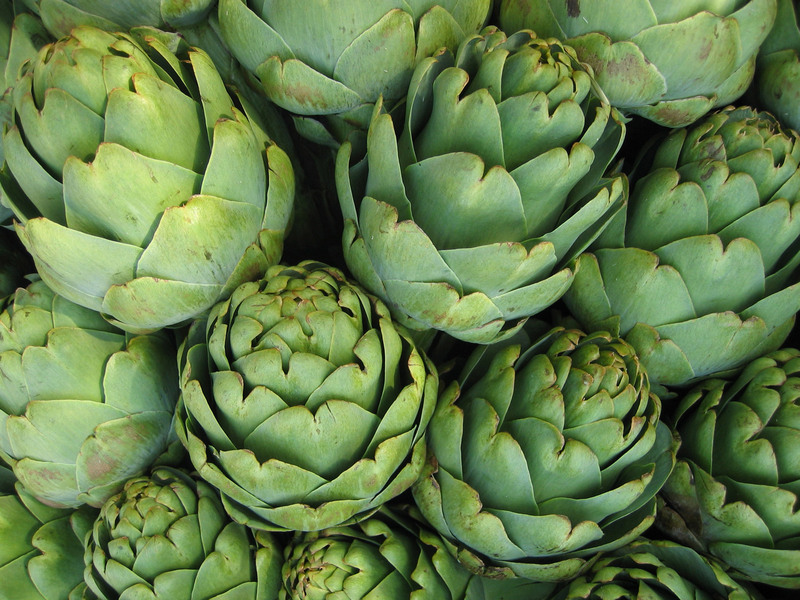 Bend back outer petals of each artichoke until they snap off easily near base, the edible portion of petals should remain on artichoke bottom. Continue to snap off and discard thick petals until central core of pale green petals is reached. Trim brown end of stem and cut off top 2-inches of artichokes; discard. Pare outer dark green surface layer from artichoke bottoms. Cut out center petals and fuzzy centers. Slice artichoke bottoms about ¼-inch thick. Toss with lemon juice to prevent discoloration; set aside. Sauté onions in olive oil 5 to 8 minutes or until tender. Spoon evenly into 2-quart oven-proof baking dish. Sprinkle with Italian herb seasoning. 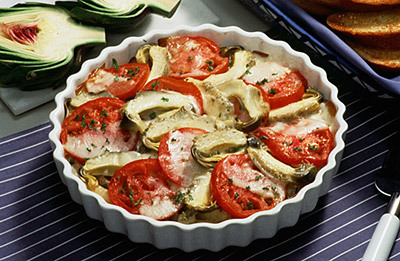 Arrange tomato slices, artichoke slices and cheese slices on onions, over-lapping slightly in center of dish. Cover dish with lid or foil. Bake at 375°F for 40 minutes.